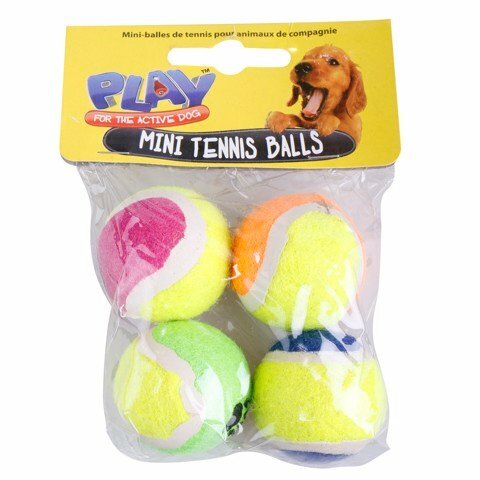 Pet Mini Tennis Balls 4Pc. Ball Diameter: 38mm. Two Tone Tennis Ball with Black Paw Print. : Pink & Yellow | Orange & Yellow | Blue & Yellow l Green & Yellow. Rubber. 86G Packaging: PVC Bag with Header Card.